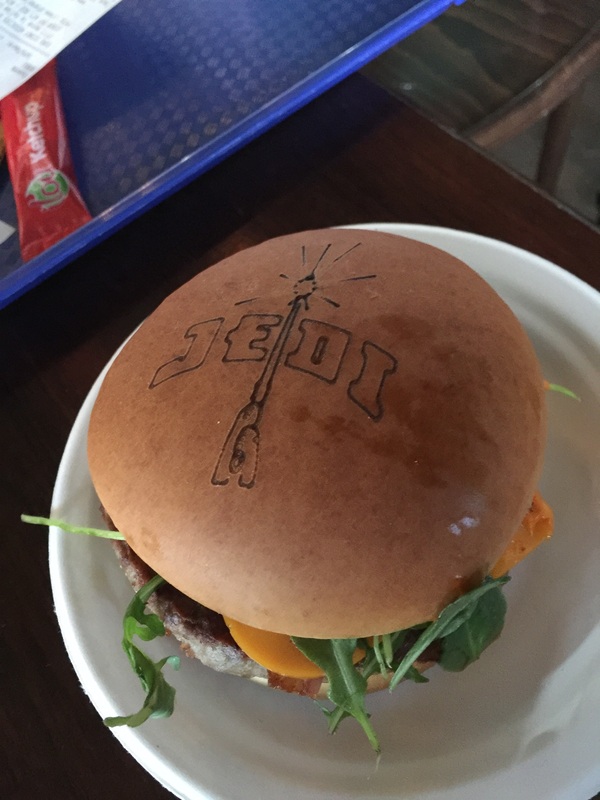 Ok, I’ll admit, my inner 9 year old loved eating Jedi burgers watching a live action Star Wars show. It wasn’t that grueling. 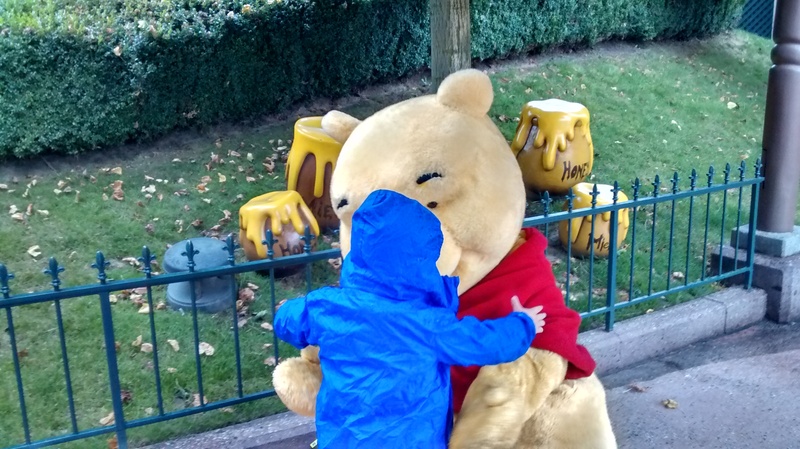 I’ve done the two US Disney parks as an adult and rather enjoyed them, but doing them with a 3rd year old is just magical (if very very tiring). were so special to him, that I didn’t mind multiple rides on the teacups, it’s a small world (the most horrible saccharine sweet experience in the world, bar none) and the Pirates of the Caribbean when secretly I wanted to sneak off for a go on Space Mountain. I did manage to sneak off the day before the race to the Expo centre to pick up my number, race T-Shirt and and wander around a couple of dozen stands selling various bits of running and general fitness paraphernalia. 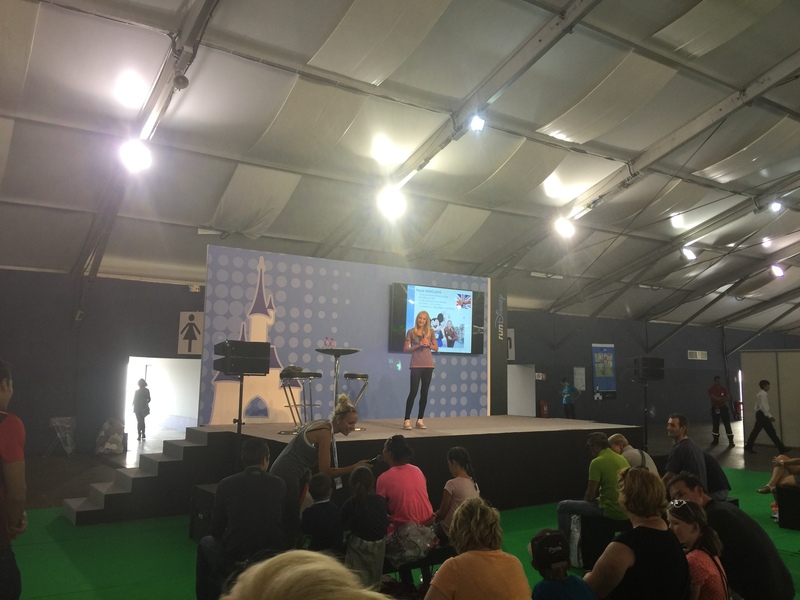 Wandering through the middle of the exhibition I spotted somebody I recognised giving a talk (in French) to about 20 or 30 people. It wasn’t until the TV behind her changed that I clocked who I was looking at. What I didn’t realise was she speaks impeccable French, so whilst she had a translator on stage with her, she took and answered most questions just in French. My rather rusty GCSE French couldn’t keep up, I worked out she was very happy and something about doing a marathon with her dad, Had she wanted to book a hotel room with two beds and a bathroom, wanted to know where the beach was or even wanted to know where the monkey is, I may have understood more of what she was saying. 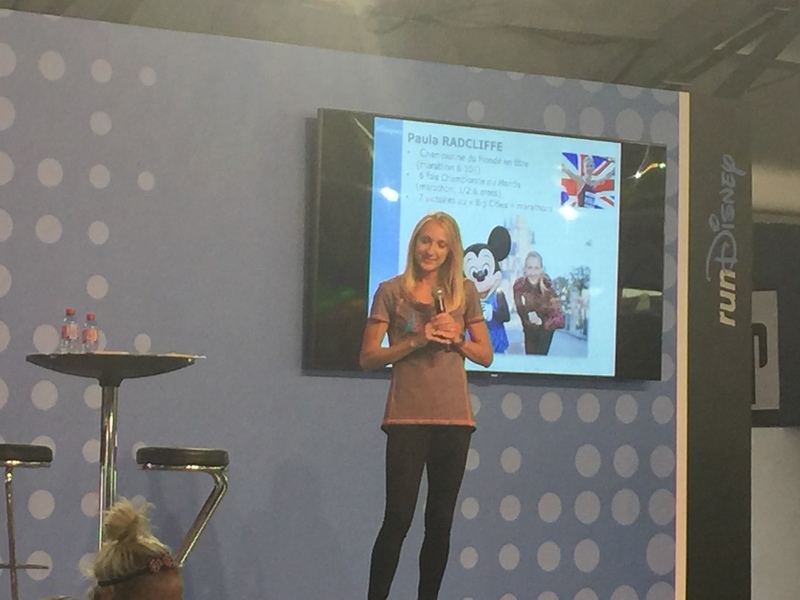 So, Sarah from Pudsey Pacers asked me to do a write up of the Disneyland Paris 1/2 Marathon and as she’s kind enough to coach the group I run with twice a week, there was no way I could refuse. Important Note: This got massively long (so big I split it over 3 posts), if you just want the summary. 14 stone and inactive to 12 stone “runner” who did 2:12 my first half marathon since the early 90s. 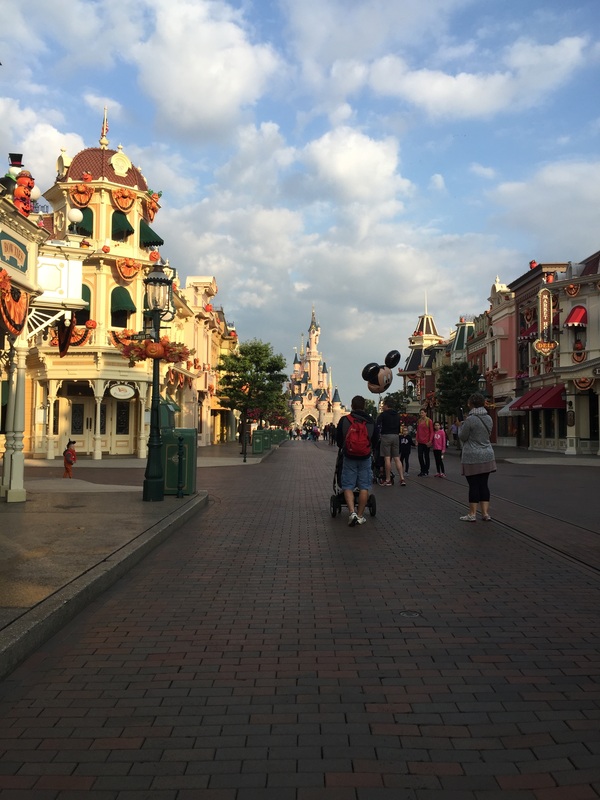 Disneyland Paris is an amazing place to run, but not without it’s drawbacks. 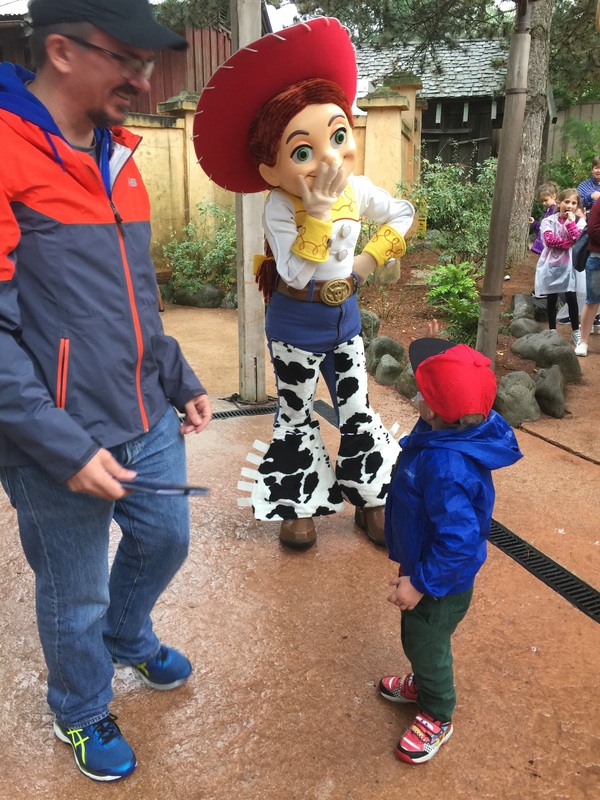 The American’s I met afterwards said the US Disney runs are much better organised and feel much more special, but it felt pretty special to me, especially the first 2 and last 3 miles which were through the Disneyland Parks & Hotels themselves. 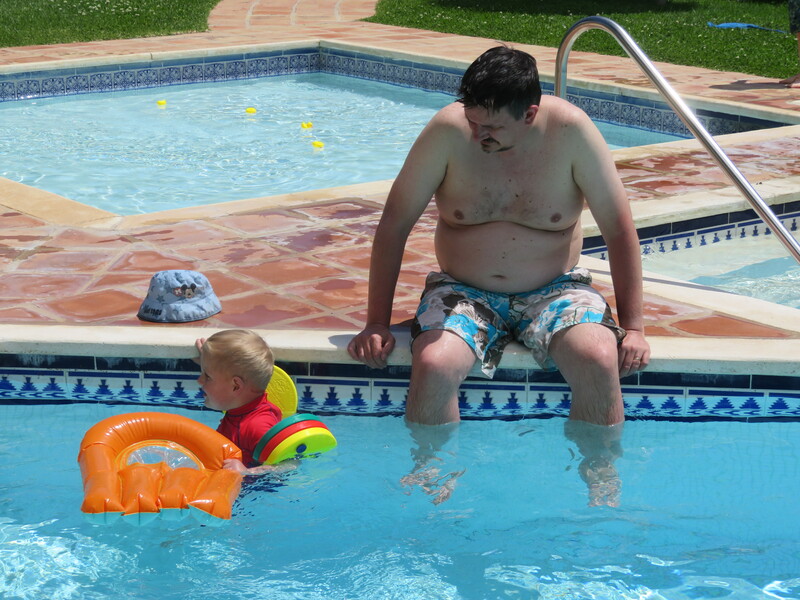 So, I’ll start with a little backstory, mid June to be precise, I was a 14 stone IT geek with a penchant for real ale, fried food and avoiding exercise. But I was finding out that being the dad of an energetic 3 year is really really tiring, especially when even chasing him up the stairs would leave me out of breath. I needed to get fit. After returning home from a day at a beer festival and a little full of dutch courage, I spotted a social media post from my mate, fellow geek and comedian Dom about his entry for the Disneyland Paris 1/2 Marathon. My brain went into overdrive, I’d really wanted to take my son to Disneyland and Paris is an obvious first park to do with him, plus if Dom’s doing it, well he’s even heavier than me and probably does even less exercise (I was wrong) , what’s more I was a runner once, I can get into shape, it’s only June and October is ages off. So after the disheartening realisation during my first couple of runs that I now couldn’t get around a mile loop without stopping, things slowly started to pick up. Very very slowly, but after a few weeks I found the two mile loop around my village was occasionally doable without stopping to walk, but 13 miles still seemed like an impossible task. It was about this time that somebody mentioned parkruns to me, knowing I was nowhere near fit enough for any kind of race but missing the company of other runners I gave it a go (with the lovely people of Oakwell Hall) and even though for the first couple of weeks I had to walk parts of the course, I found something that had been sorely missing every other time I’d tried to get back into running … I was enjoying myself. Soon I started judging my runs by how far I could get without resorting to walking and that soon passed 3 then 4 then 5 miles, I might be plodding along at 12 min mile pace, but I wasn’t walking. I’d promised myself once I could do 10k in one go, I’d look for a race to enter. However when that day came, I couldn’t find a convenient 10k in the near future, so got brave and set my eyes on the 10 Miler in Lancaster. Why Lancaster? Why that race? 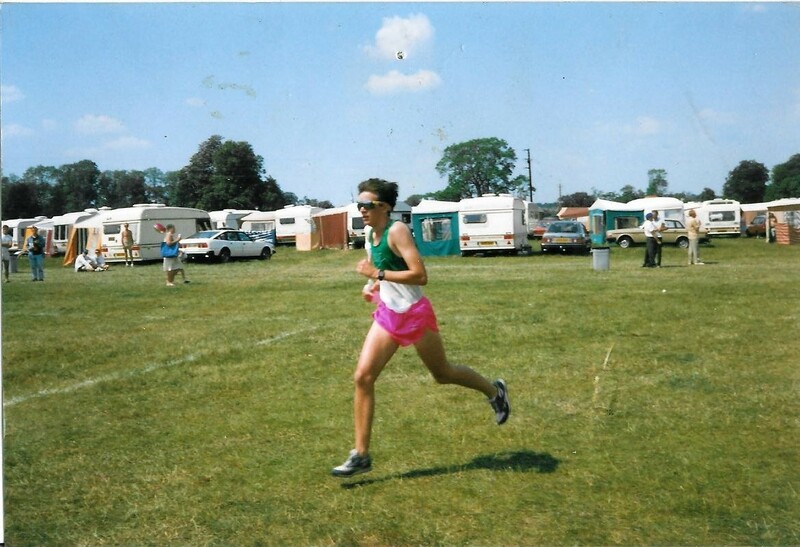 Well, it was where I was living last time I was actively running, I still have family there and the course in question was the location of my proudest moment as a runner (in roughly 1989) when I broke the hour for 10 miles. I knew the course, I knew it was fast and flatish and I knew it would be fun to say hello to some folks who hadn’t seen me in 20+ years. 1. I’d got so used to running with headphones on with runkeeper telling me my splits that suddenly running in a big field without it, I found I went off far quicker than I intended. However it meant that when I worked out how fast I was at half way and that I still felt ok, I pushed on even harder! 2. Jellybeans are a thing (well, a running thing) and they actually work! 3. It gets quite lonely at the tail end and having a marshall ask “do you think there are any more after you” is quite disheartening, especially when you’re doing much better than you expected. I ended in doing it without stopping (which was a big mental boost as it was 3 miles further than I’d done in training) in 1:45:10, which I was very happy with and I was 154 of 171, which I wasn’t so happy about. Official Results are here. By now I’d stopped worrying if I’d get around a half marathon without dying and actually started training that includes shorter runs to work on my speed, rather than just my distance, I stopped wearing my headphones for everything bar my long Sunday runs and actually started to look forward to Disney. Also mainly thanks to eating sensibly and calorie counting for the fist time in my life, I’d lost 2 stone! I also started to think about hat I’d do after Paris. There was a real risk of me reverting back to being a fat lad on a couch again and whilst the Park Runs were fun (and almost every week was a new PB) they weren’t enough to keep me motivated to go out training alone on those dark winter nights. As luck would have it, the night before a Park Run, I’d been looking for a local running club and whilst there wasn’t one particularly close to where I lived, Pudsey was probably the closest and not far away. So I was a bit surprised when the following morning PP did a take over the Oakwell Hall Park run. After a couple of minutes talking to some of the runners afterwards, I was sold!